Colombia’s demobilized FARC rebels recruited more than 5,000 minors during its 52-year war with the state, according to the prosecution. The country’s war crimes tribunal received a report from the Prosecutor General’s Office in which it said to have evidence of the recruitment of 5,252 children and minors. Less than 20% of the minors that were forcibly recruited by the FARC were under 15, according to the prosecution statistics surrendered to the press. The International Criminal Court, which is overseeing Colombia’s transitional justice system, has indicated that the recruitment of minors of 14 and younger is a war crime. Conscripting or enlisting children under the age of 15 years or using them to participate actively in hostilities is a war crime, in both international and non-international armed conflicts. This would mean that the FARC will have to respond for the recruitment of 910 children of 14 and younger. 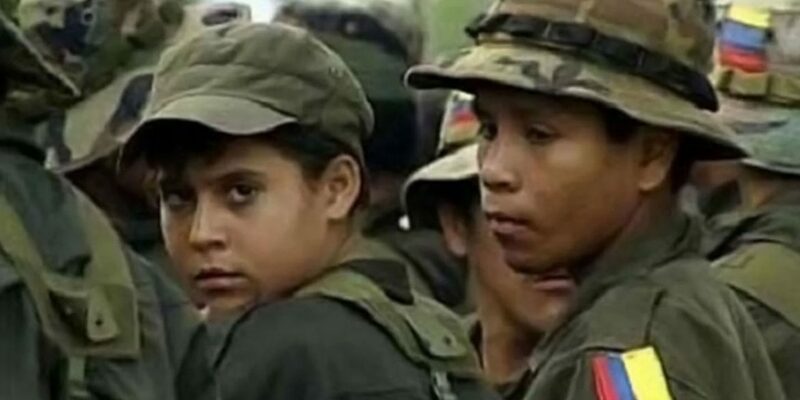 According to a prosecution press release, the FARC either violently recruited the children or used the minors’ vulnerable situation to convince them to join the guerrilla group. The demobilized Revolutionary Armed Forces of Colombia used physical violence and threats against children and their families. In other cases, they took advantage of the immaturity of the children and the difficult socioeconomic and family conditions they were going through, using persuasive strategies and deceptions to achieve their incorporation. The child soldiers, like their adult counterparts, risked execution if they tried deserting their guerrilla unit, the prosecution said. The “involvement” of minors was a violent act that always came with the latent threat of execution for those who considered deserting. The vast majority of minors recruited by the FARC were from southern Colombia where the group traditionally exercised most control during the armed conflict that lasted between 1964 and 2016. Whether the numbers surrendered by the prosecution are accurate is doubtful, considering the office’s decades-long negligence in filing reports on war crimes, especially in FARC-controlled territory. Victims of war crimes will be allowed to file charges against the FARC and the military for the use of child soldiers, making it possible that the total number of charges for the illegal recruitment of child soldiers grows.